Online Store :: Internet Services :: PRO IT Service S.R.L. - Choose a professional and accessible service for your online image! Mihai is a real ace on anything to do with Moveable Type - if you need to do anything tricky don't even bother trying it yourself or using a general purpose web developer - just ring Mihai - you will have it next day and at a good price. This service is addressed to those interested on launching an online store, as well as those that already have one, but wish to implement an online payments mechanism. In case you intend to build an online store from scratch make sure you have first studied the Web site Development service. Everything moves so fast these days that a client is not always prepared to wait a certain amount of time for the product or service he/she likes. Once he/she has identified the product, they want it right away. Keep your shop open non-stop 24 by 7 and your earnings will certainly increase. The online store needs an advanced management system of available products, orders and customers. The product payment is usually made by credit card, but could also by other online payment instruments. The online payments are operated by certain services called "payment gateways". These services include: PayPal, MoneyBookers, WorldPay, 2CheckOut, Share*itetc. The payment processor Web site integration procedure varies from one processor to another. Through the service we are offering we are delighted to recommend the most appropriate payment processor for your project from both a facilities offered and cost points of view. 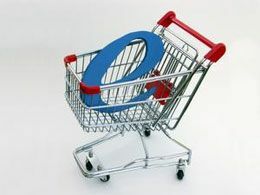 The customer chooses the products he/she intends to buy and places them in the shopping cart. Once all products are in the cart, the customer chooses check-out and inputs his/hers details for placing the order and generating the invoice. An order summary is automatically generated and sent out both to the seller and customer together with the invoice. The client is directed to the payment processor where he/she has to make the payment in a secure environment. After the payment is made, both seller and customer receive a confirmation. From this moment on the seller can validate the order and deliver the products. The client receives immediate access to those products available by online instant delivery or waits for delivery for those products available via postage. Do you think your business needs an Online Store?